Christine Gribble is an award-winning, international photographer based in Grand Rapids, Michigan. As a professional photographer for over 20 years she has been creating images for her clients to cherish and hand down as heirlooms through the generations. Whether they are wedding images as a couple starts their new life together, newborn images to announce the growth of their family to friends and loved ones, or images of milestones that mark the stages of life, Christine’s photographs tell the stories her clients want to remember. Her passion for working with children has led to Christine receiving accreditation from Special Kids Photography of America for her skills in photographing children with special needs or illness. 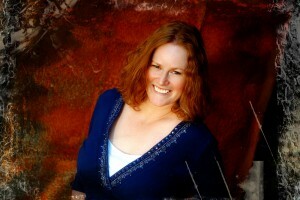 Christine is one of only five photographers accredited in the state of Michigan, the only one in West Michigan. A photograph is a piece of art ~ a moment in time frozen to be passed on to future generations. A photograph tells a story ~ the story of your loved ones and your life. As a professional photographer for almost 20 years, my goal has always been to capture life’s milestone moments for my clients. From children with special needs and their families to weddings, from newborns to high school seniors, my passion for photography carries over into every image I create. My mission is to create portraits for you that make you smile, touch your heart and preserve your family’s special moments.